Ramphis Magloire was born on April 14, 1961 in Petionville, Haiti. His father was a house painter and his mother was a cook in the art colony called "Saint Soleil", in the mountains above LaBoule. Eventually Louisianne St. Fleurant, surrounded by the art and energy of the artists, began painting and eventually became the internationally known grandmother of the movement. In reply to a question posed to Ramphis by Fred Lambrou and published in the HAITIAN ART NEWS, about how he decides what to paint, Ramphis describes sitting in front of an empty canvas, feeling comfortable and at ease. "As I begin to paint, I feel that I have a 'problem' and this 'problem' stays with me until the painting is finished." 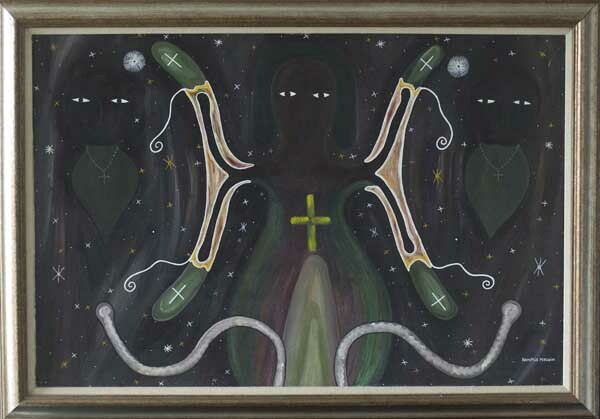 Ramphis is a quiet, soft spoken young man who says that his work is dictated to him by the spirits. 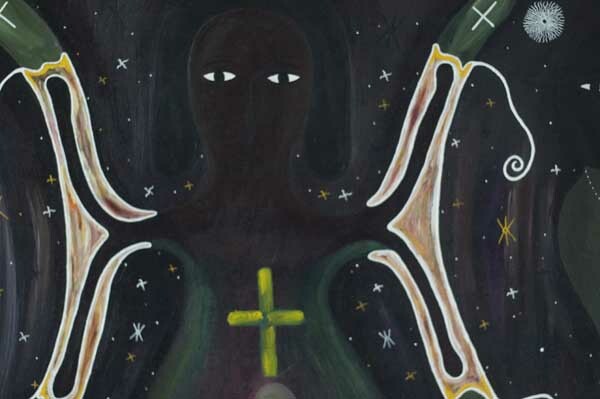 A painting of his graces the cover of the Selden Rodman book " Spirits of the Night". 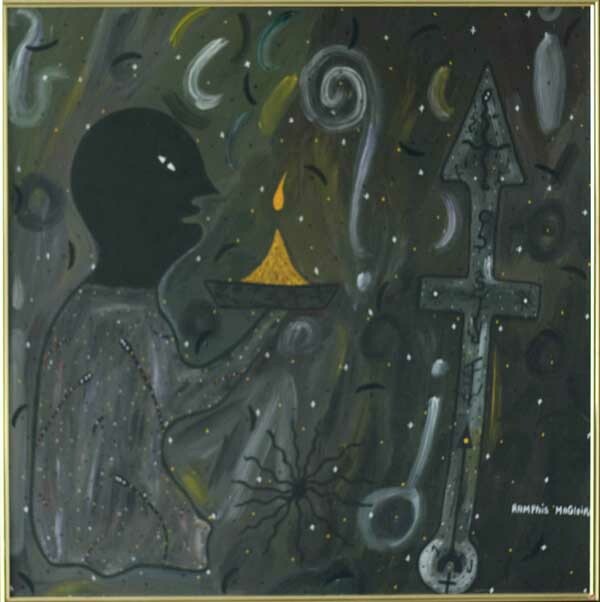 He is the older brother of the late Stivenson Magloire and the painter Magda Magloire is his sister. c.1988 $1000 framed in thin metal frame. This painting is dark, in color at least. It needs strong light to see all the colors.